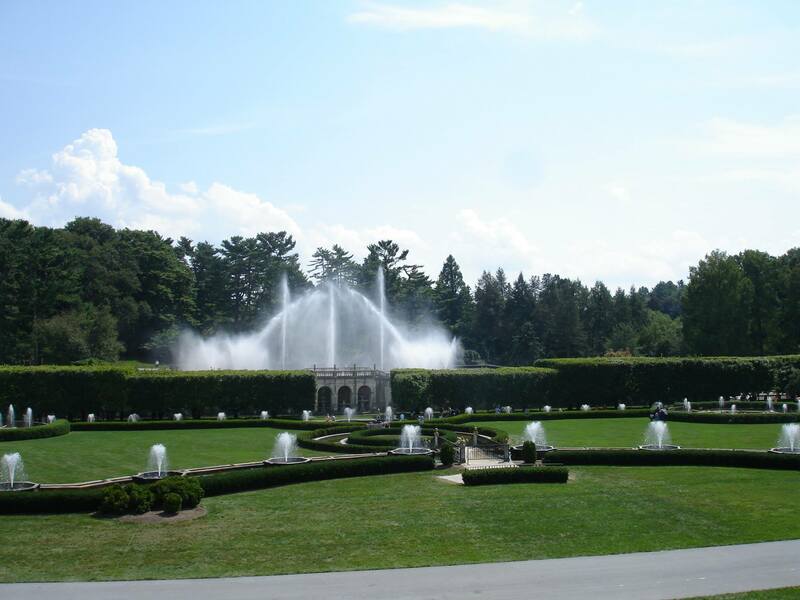 Last year we got the opportunity to visit Longwood Gardens in Pennsylvania, one of the premier botanical gardens in the United States. 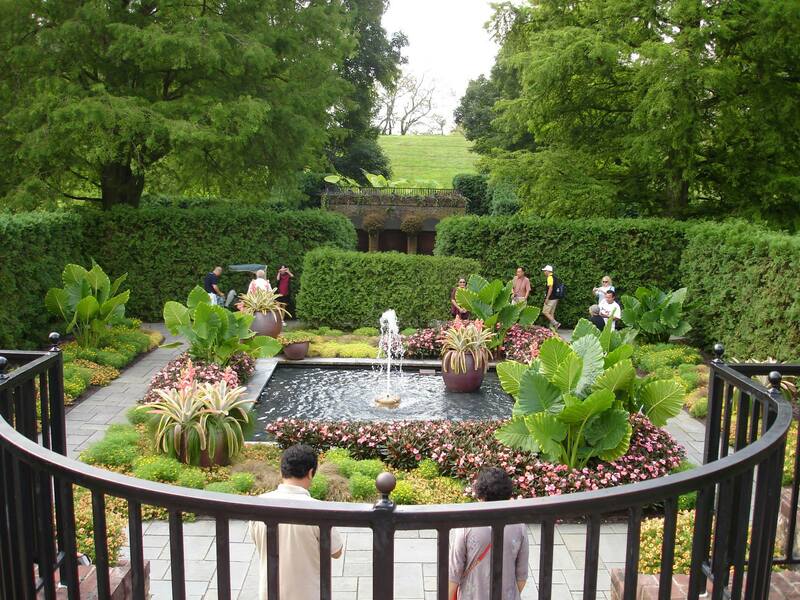 It is spread over more than 1,077 acres and consists of exotic plants and horticulture (both indoor and outdoor). 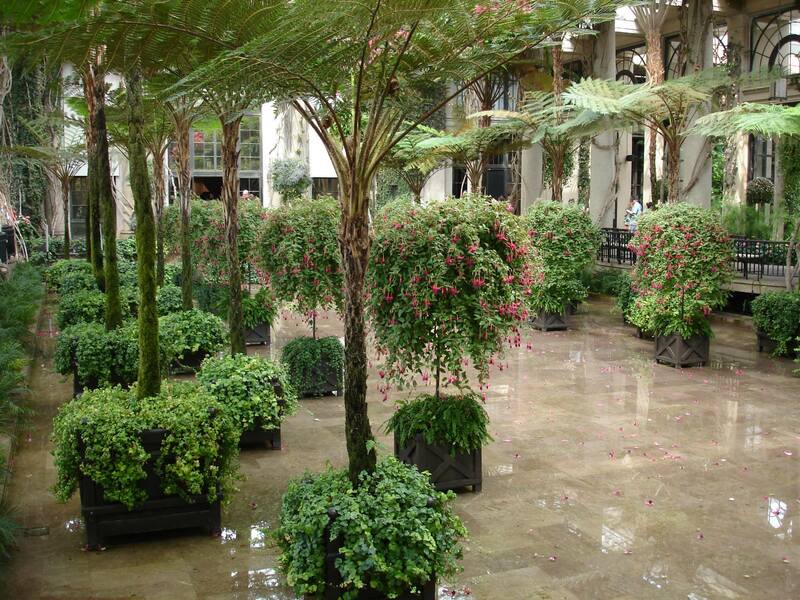 To be precise, it has 20 indoor and 20 outdoor gardens with 11,000 different types of plants. It is known for its extensive and intricate system of fountains and massive conservatory (one of the world’s greatest greenhouse structures), which is home to more than 5,500 types of plants. In the early 1900s its founder Pierre S. du Pont added extensively to this property, which has a history dating back to the early 1700s. 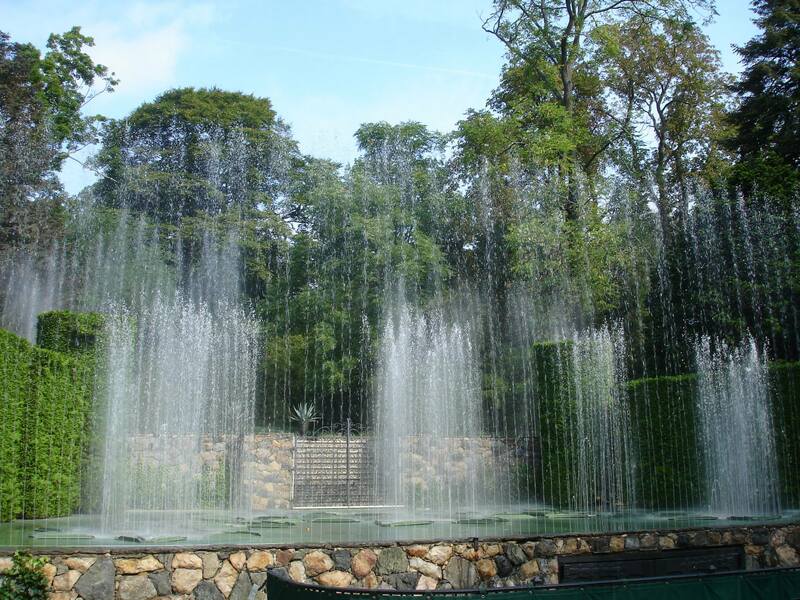 After buying our tickets, we first experienced the Open Air Theater Fountain show, which happens every hour. The extravaganza has 750 jets that pump out water in different patterns with five-minute shows set to music. We then started from the right hand side with a plan to cover the entire place in a day. 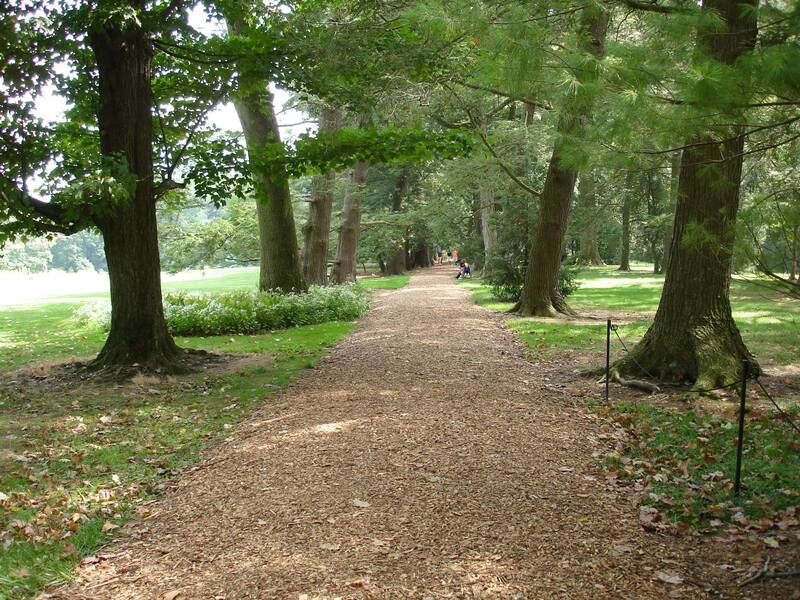 As we walked, we came across the Flower Garden, which is the Longwood’s First Garden that the founder du Pont created. 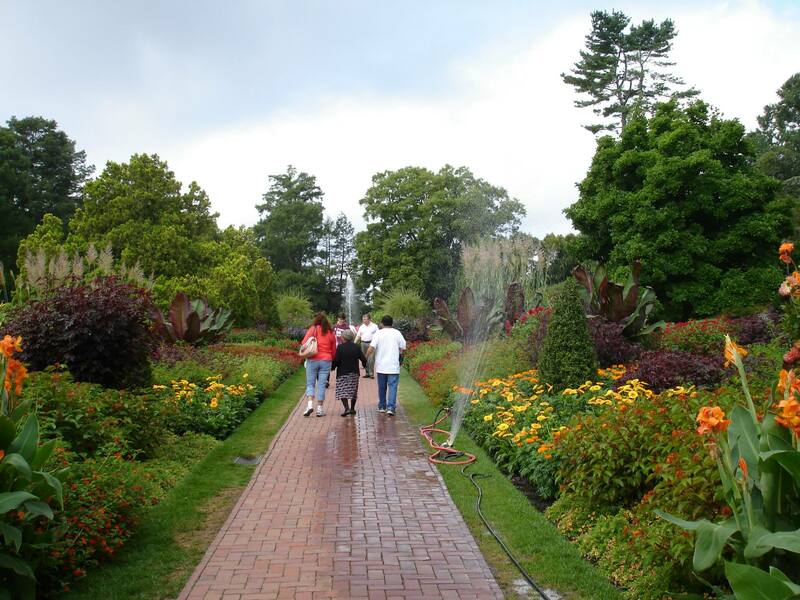 It has a 600-foot long brick walk that takes us through the gardens set-up in 1907. We also went atop few of the Tree Houses at the place, our first such experience. 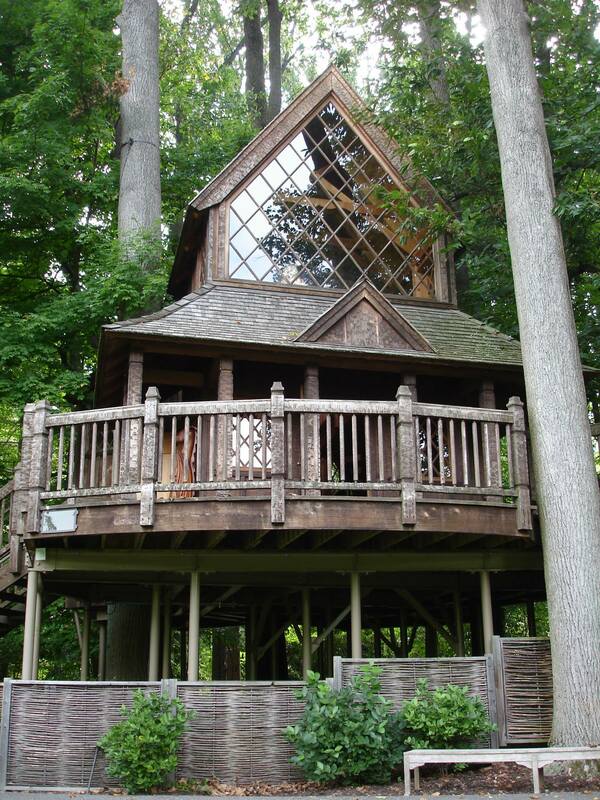 The one below is the grandest of all there and is called Canopy Cathedral Treehouse. It is a two-story house inspired by a Norwegian church. 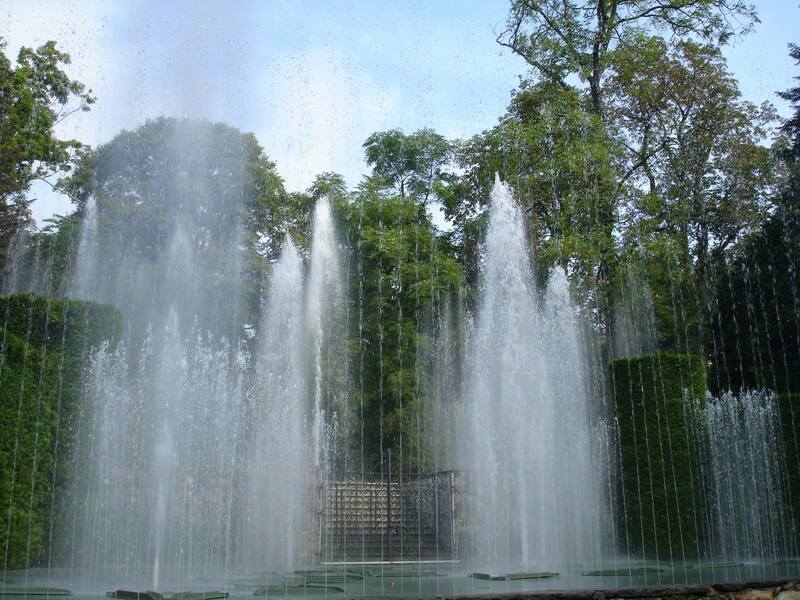 Next on the path was the Italian Gardens and the magnificent system of Fountains it has. 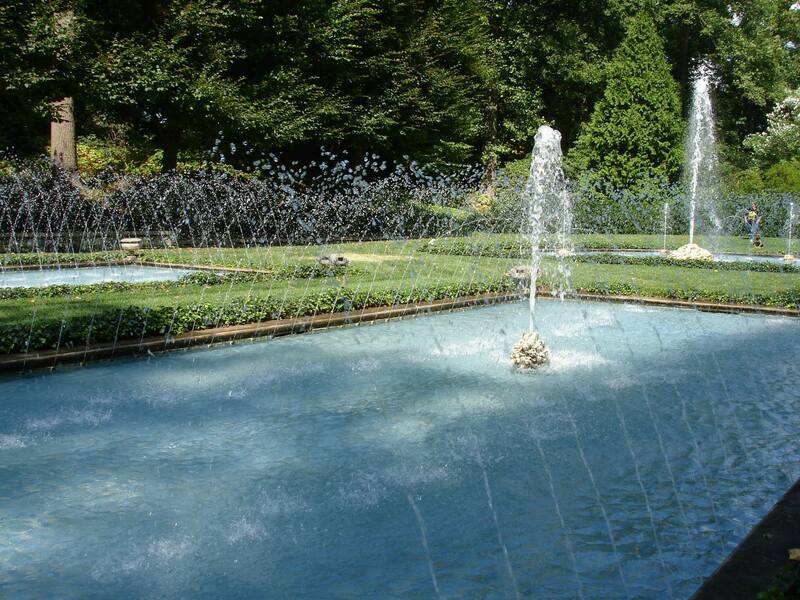 Mr du Pont planned every aspect of this Garden, from the sculptures inspired by his travels in Italy to the hydraulic calculations. We had to buy a separate ticket (for 4 bucks each) to experience it closely through a Tour. We then walked all the way to the left through scenic paths to see where du Pont and his family used to live. It was originally built in 1730 by the then owner of the place Joshua Pierce, when the area was used for farming. 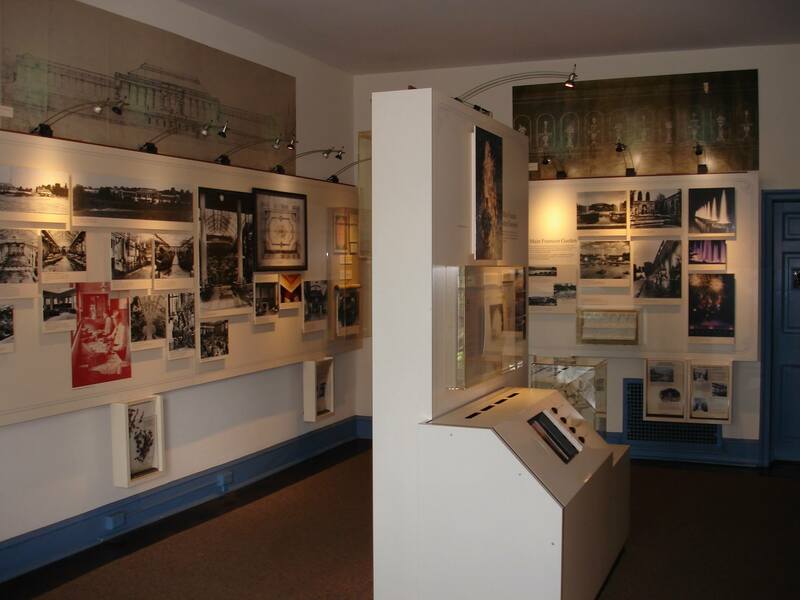 The home now contains the Longwood Heritage Exhibit. 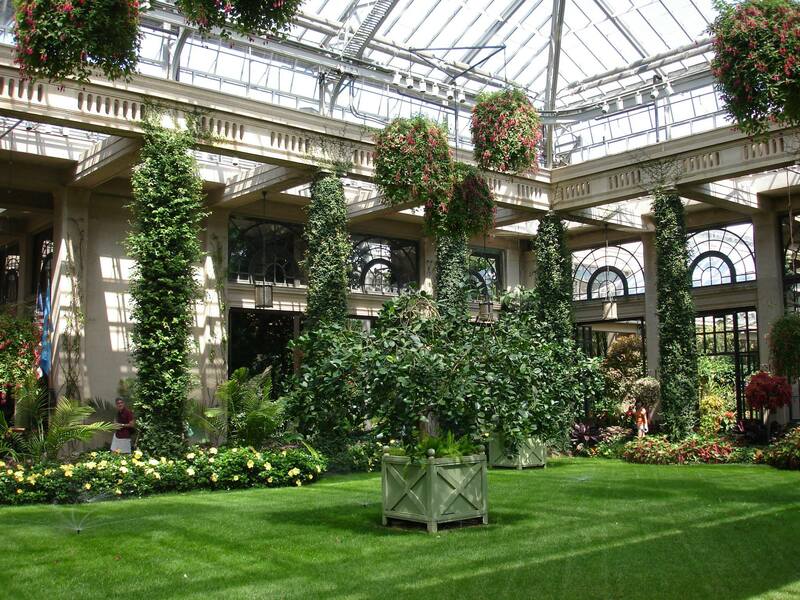 Next was to cover the humongous Conservatory, which was simply breathtaking. 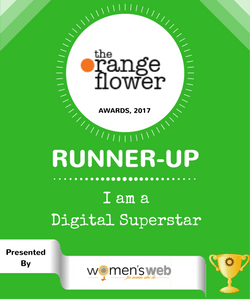 It is spread over 4.5 acres and is home to some of the world’s most picturesque gardens and state-of-the-art-facilities. 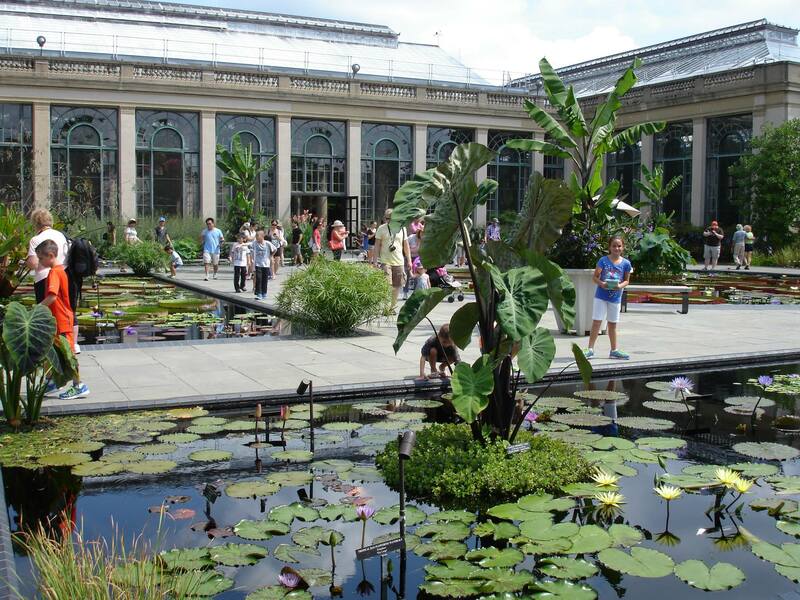 Accessed via the conservatory is a stunning outdoor garden featuring aquatic plants from all over the world. 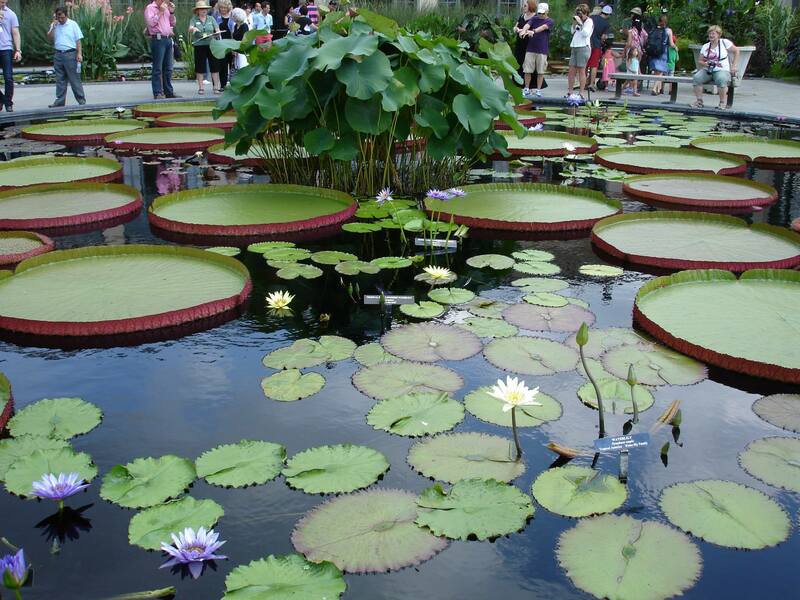 The spotlights are the Water lilies spread across five large dramatic pools. We also visited the Longwood Organ, the largest Aeolian organ (a 10,010 pipe instrument) ever constructed in a residential setting. 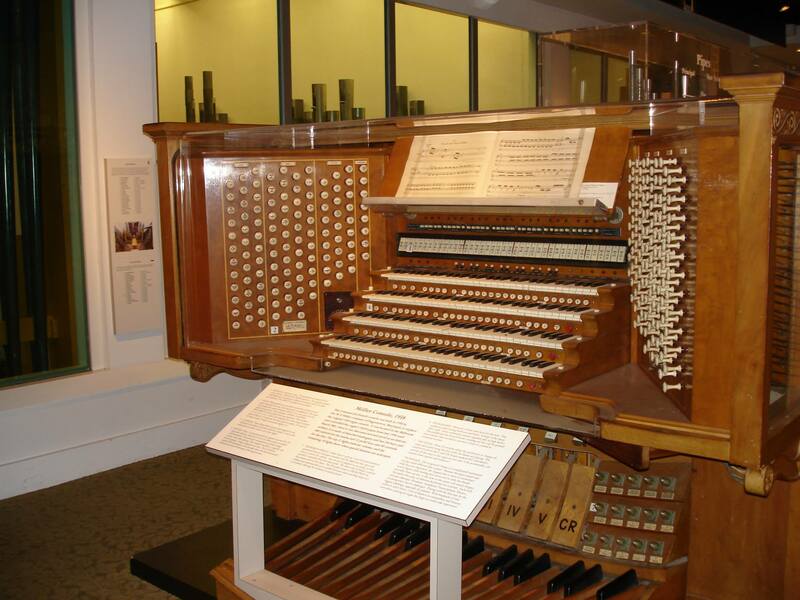 Pierre du Pont was an organ aficionado and replaced the original organ in 1930 with the one that enthralls its audience today! It is partly visible on the back in the picture below. We couldn’t cover the vast Outdoor Meadows as that would have taken a lot of time (and we had walked a lot already). They are spread over 86 acres and are definitely worth the time and effort as they promise three miles of walking and hiking trails while experiencing sweeps of colors and various resident and migratory species. However, in the end, we witnessed the majestic Synchronized Musical Water Show, which is a major attraction in itself. 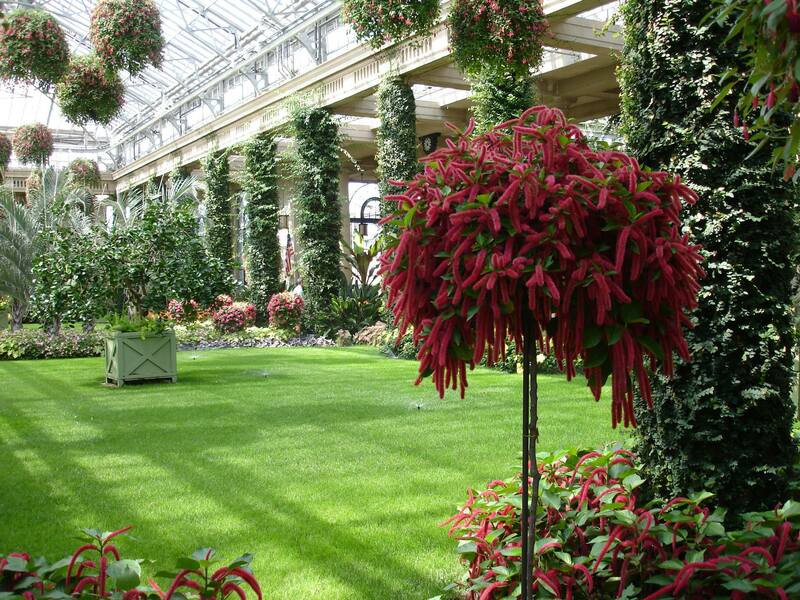 Longwood Gardens is an experience of a lifetime – a blend of beauty and inspiration, and that of nature’s wonders. 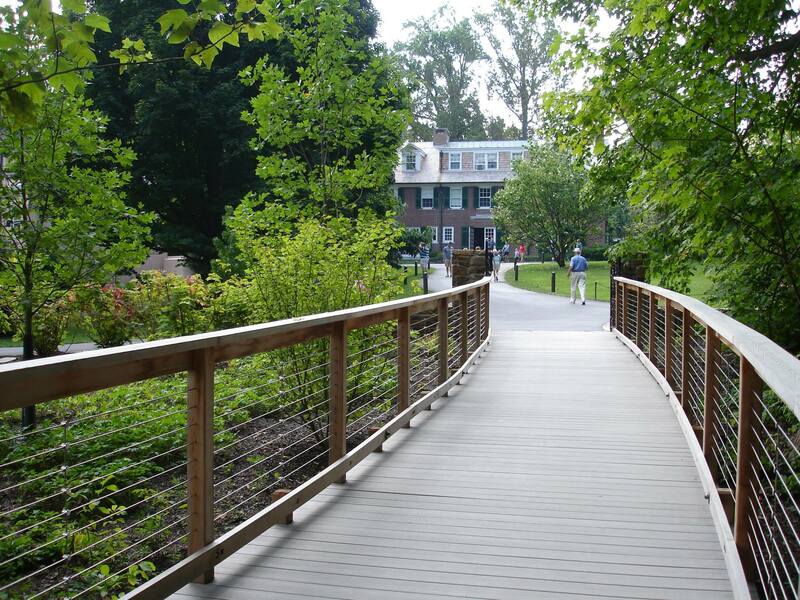 It is definitely a one-day visit, but be ready to walk extensively through the area. Over a million guests visiting it each year speaks volumes about its popularity! < Previous Remembering God, for his Blessings! You’re welcome, dear. I can’t write enough about the beauty there – one can only experience it! 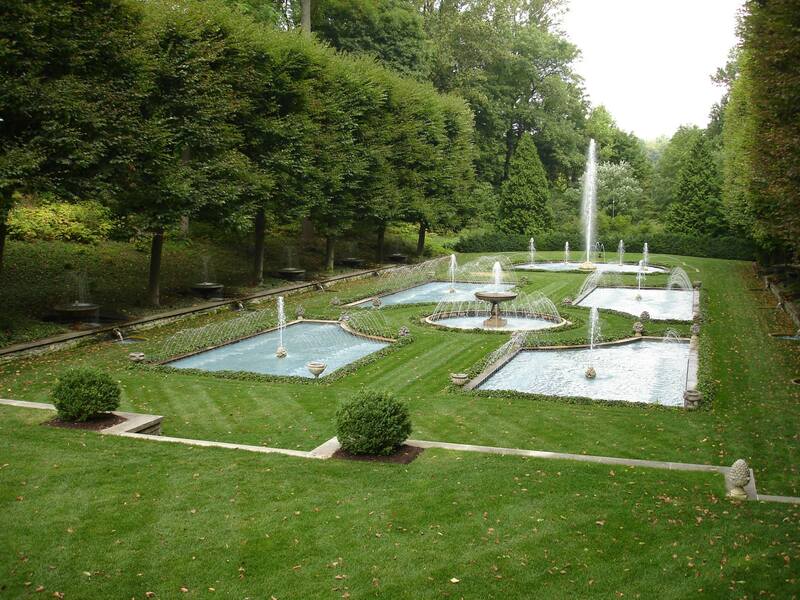 In the US, they spend a lot of money to maintain such sites…that’s why they are a pure bliss to experience! Gardens are always so beautiful!! Great coverage of what is an apparently breathtaking place! Those are very well framed shots and do justice to the subject in question. Beautiful pics Alok :). Must say the gardens are so beautifully maintained. A perfect place for a sweet little relaxing day :D.
You are very right…a perfect place! Beautiful, and a post to match. 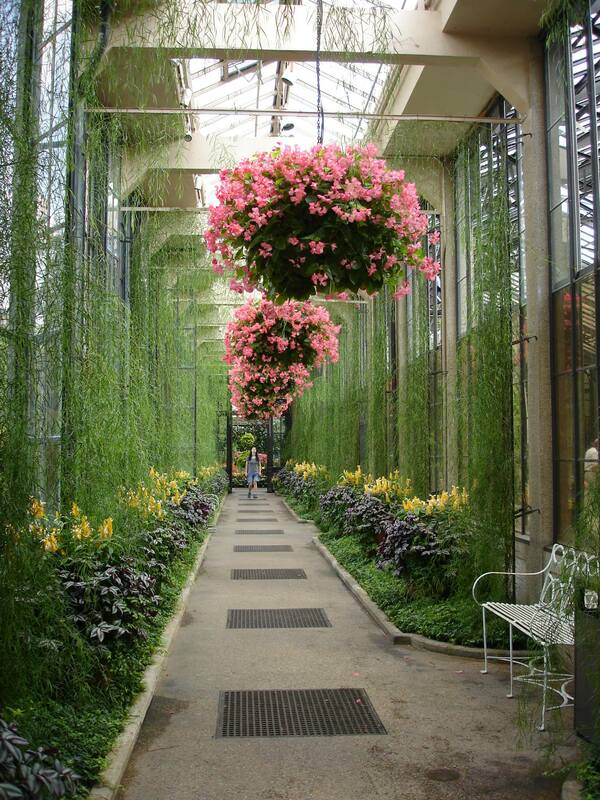 Longwood Gardens is Amazing!!! I haven’t been there for a few years, but it is inspirational, relaxing, inspiring, creative, and anyone who loves gardens or nature would thoroughly enjoy it! Nice photos! He was very particular about what he wanted to leave behind…and we now know he didn’t leave anything to chance! It was the best impromptu trips we ever had. If someone is on East Coast, this place is a must visit.